We are back from Europe and looking forward to getting down to working on the material for our 3rd album while enjoying the FIFA World Cup along with the rest of the world! If you’re in Cape Town, please consider coming down to support this really great unplugged event next week at the Baxter Theatre. 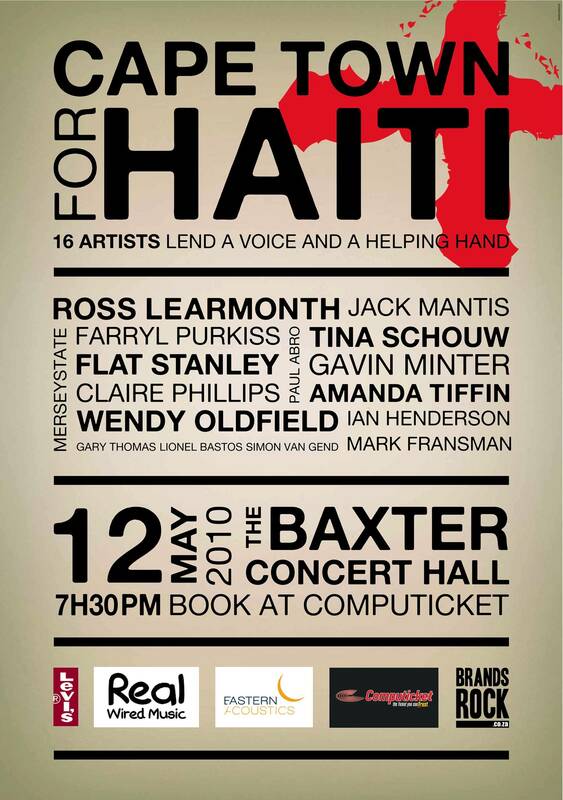 It features some of SA’s finest musical talent all performing for a great cause. Tickets are available from Computicket, and we hope to see you there! 16 singer/songwriters lend a voice and a helping hand. Dont miss this special night of great artists sharing their journeys and commitment to their art.